The position of a Rabbi, especially in the diaspora but in Israel as well, has taken on much more than that of a simple halachik advisor over the past couple of decades. “A Rabbi is a community leader, who has to answer questions on all type of issues and in many different areas. They have to be knowledgeable in many areas,” said Rabbi David Fine, Founder of the Barkai Beit Midrash program. Barkai is dedicated to training communal Rabbis in Israel, and teaching them how to deal with questions of abuse that come from victims in their community. “The Rabbi has to know when they can help and when they have to refer the person to the proper authorities or experts” said Fine. 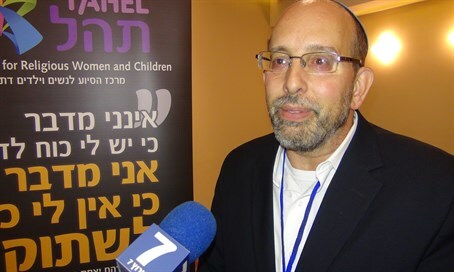 The comments were made during an interview with Arutz Sheva, that took place during the Tahel conference that discussed abuse in the Orthodox Jewish community. The conference took place this week at the Jerusalem Ramada Hotel. “The Rabbi does give advice in many areas. That is the role that the rabbi has fulfilled for many years throughout history, and that is the role the rabbi serves in the diaspora as well,” Fine stated. Fine compared Rabbis to family doctors, stating that although people come to the rabbi with all types of questions, and or seeking advice, the Rabbi needs to know what questions they can answer, and when they need to refer the person to the correct specialist to get the proper treatment and care that the person needs. Returning to the issue of how to deal with situations of abuse within the community Fine addressed the problem in the following manner.